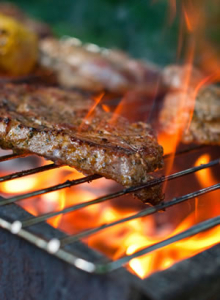 This year give Dad the gift he really wants: a juicy steak off the grill! NY Strip, Ribeye, Sirloin, T Bone and More are on Sale. Ask your butcher about the Thick Cut Father’s Day Special! Ask your butcher for cooking tips and side dish suggestions! Get Ready for Game 7! Copyright © 2018 Dorfler's Meats. All Rights Reserved.